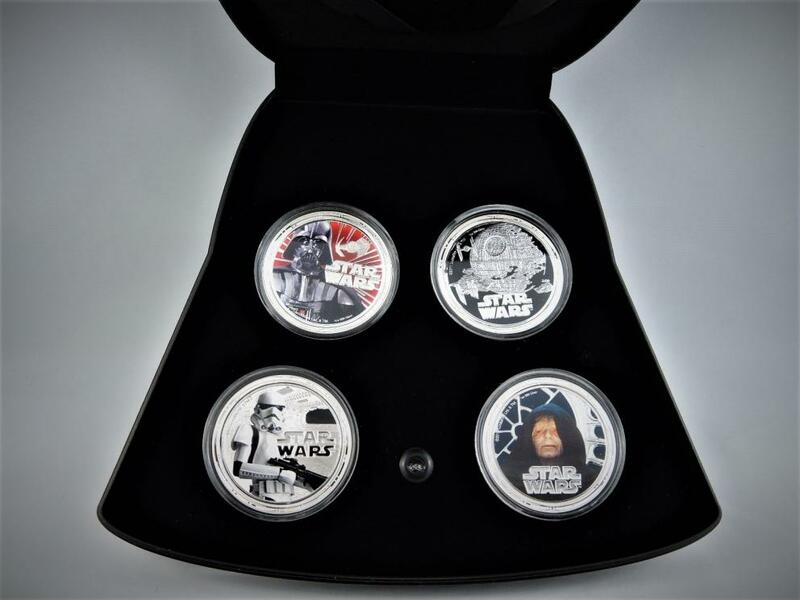 Four one ounce Darth Vader Coins issued by the New Zealand Mint by the Authority of Niue Island. The obverse design of the coins features the Raphael Maklouf illustration. 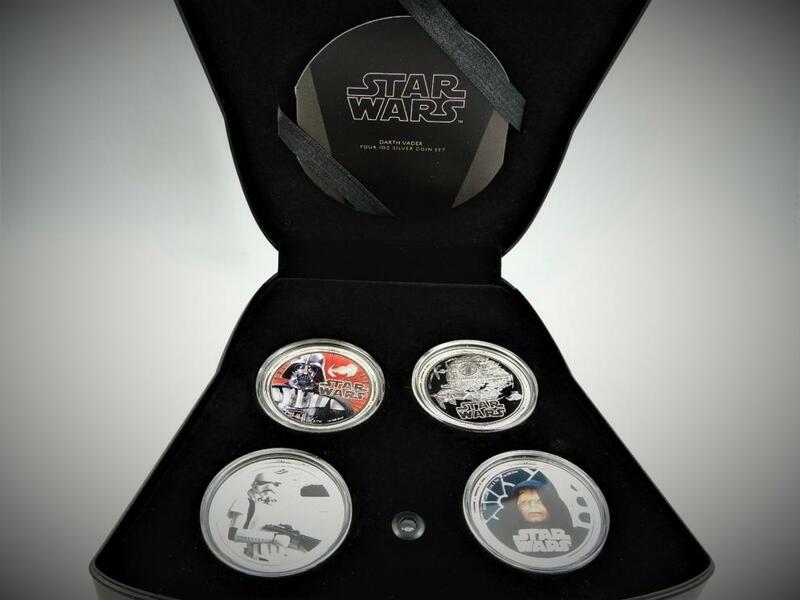 These are outstanding coins with an amazing presentation STARWARS TM Mask that containes the coins. 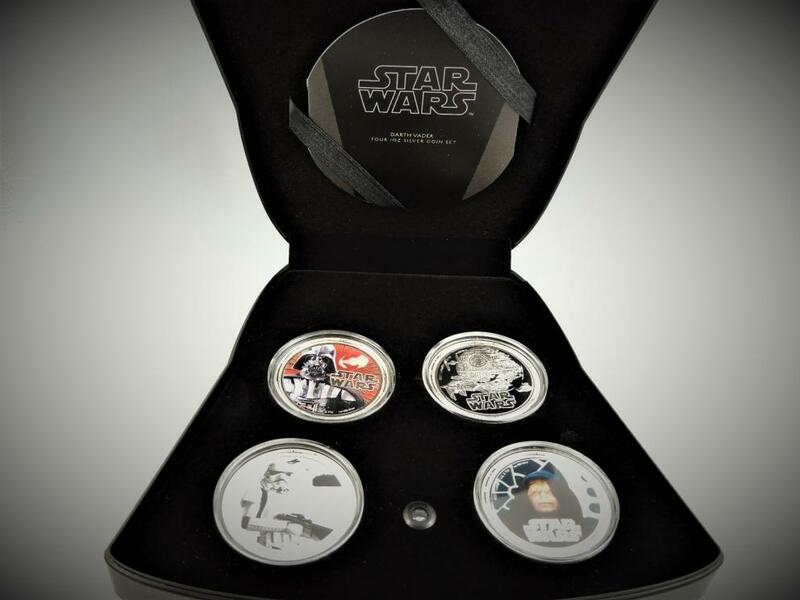 This is an incredible auction combination of coins and the STARWARS MASK. 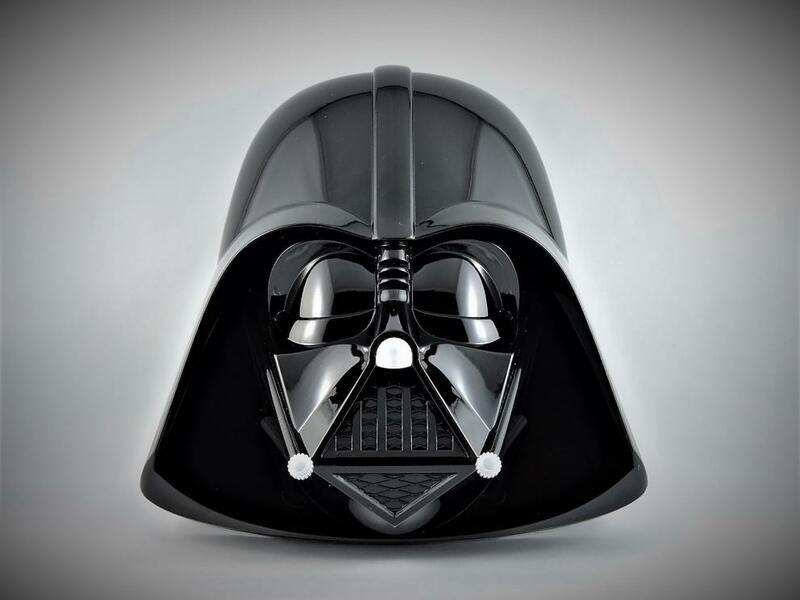 Oustanding collector item from the New Zealand Mint. Bidders in placing their bid in this auction are agreeing to all terms and conditions of Auctions SoldOutright that includes the addition of a buyers premium added to the winning bid, a credit card or payment charge, handling, packaging, shipping, insurance and applicable taxes. The descriptions offered are provided in general terms to give a basic explanation of each item. 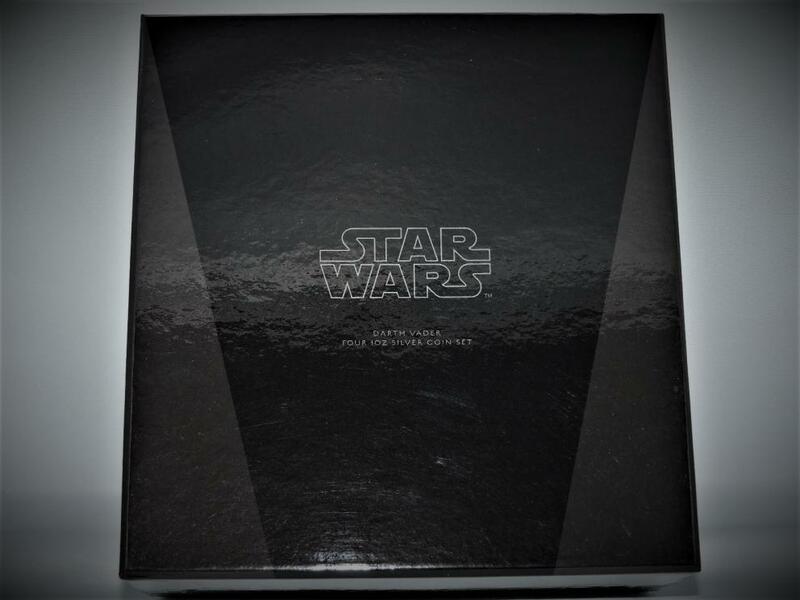 All items are sold in an as is where is condition and nothing else is implied or promised.